While Hondas are known for their quality and reliability, they function best when they are properly cared for by their owners. Below is a general suggested maintenance schedule for services like oil changes for Honda vehicles, but you should consult your Owner’s Manual and our Service Department for detailed information on your specific vehicle. You can also check out the Service & Maintenance section at owners.honda.com. The amount of time between oil changes depends on your vehicle and your driving habits. Check your Owner’s Manual for specific times and distances; and be sure to change your oil within the recommended timeframe or miles traveled, whichever comes first. Your oil filter is generally changed at the same time as the oil. Check your Owner’s Manual for instructions on proper tire care. Periodically check to be sure they are inflated at the correct pressure and have them rotated at the recommended time. Obviously, your brakes are quite an important part of your vehicle. Regularly check to be sure the brake pads are not worn thin. There should be no cracks in the brake discs or loosening bolts in the calipers. Pay special attention to the condition of your brakes if you hear them squeaking as you slow to a stop or if your vehicle seems less responsive when you apply them. If you notice your battery groaning in protest when you start your car, bring it into our Service Department to have it tested. We’ll be able to give you a better idea as to if and when the battery should be replaced. About every 105,000 miles, you should have a new timing belt installed. Check your owner’s manual or http://owners.honda.com/service-maintenance/minder for information on your specific vehicle. Fluids like the antifreeze and coolant should be topped off as their respective reservoirs are depleted, especially during very cold or very hot weather. The transmission fluid should be replaced about every 30,000 miles. You can wait three years before replacing the brake fluid. Your windshield wiper blades should be free of any nicks or tears. If your wipers aren’t performing as they should, feel free to come see us for inspection and replacement. 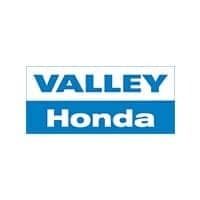 Of course, if your check engine light comes on, head to Valley Honda in Naperville/Aurora for a personalized diagnosis before more damage can potentially be done. 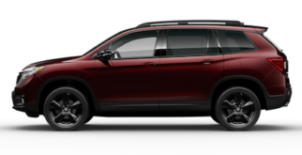 If you make a habit of regularly scheduling maintenance checks and listening to your vehicle when you drive, you’ll be able to enjoy driving your Honda for many years to come!